You can now choose your level of cover from golf insurance online to reflect your own personal golf insurance requirements. We have no restriction on age so whether you’re a youngster of enjoying retirement we have a policy for you. There are still a high number of golfers who continue to play without some sort of golf insurance or protection like golf insurance online.With more emphasis on being covered golfers are beginning to realise for such a small cost will alleviate the worry of financial claims being made against them for causing injury or damage to property.Shouting Four doesn't necessarily mean your free of any claim!! 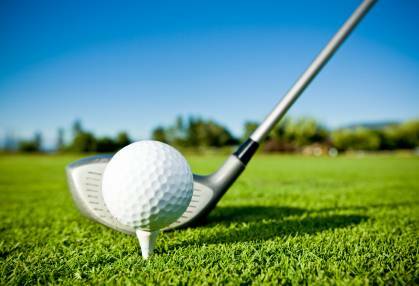 We offer golf insurance for individuals couples, ladies, and golf insurance for theUK, and also for Europe and Worldwide. So whether you play in Scotland, England, Wales, Spain,Turkey, Canary Islands, Germany ,Italy, Mexico, Bahamas, Barbados,Las vegas,South Carolina Colorado, Florida, Hawaii, Palm Springs, Arizona, or Canada we have you covered at a price you can afford. All our policies are designed to offer golf insurance cover for golf equipment, accidental damage, personal liability and much more, with more and more accidents occurring with the ever more powerful golf equipment, bad or wild play could be costly! So injuries or liability claims are becoming more prominent so the need for golf insurance becomes a no brainer.!! What does our golf insurance cover? We have three levels of golf insurance cover ,Silver, Gold, and Platinum. PERSONAL ACCIDENT, GOLF CLUB MEMBERSHIP FEES, ACCIDENTAL DAMAGE, PERSONAL EFFECTS, HOLE-IN-ONE!, GOLF EQUIPMENT HIRE, TOURNAMENT ENTRY FEES. Insurance Worldwide. With all our golf insurance policies we offer a 14 day money back guarantee. We're finding more and more that golfing weekends are becoming increasingly popular. As everyone knows, a relaxing round of golf with your friends or family will always bring to mind the thought of a wild shot going astray. To protect yourself from such unlikely scenarios, we've designed a product to cover you, third parties, golf clubs, and much more. Our Golf Insurance has 90 days UK, European, or Worldwide cover, but should you require full travel cover for cancelling or covering your trip, then please visit www.electtravelinsurance.co.uk. Our Elect Travel Insurance policy also offers the facility to cover pre-existing medical conditions at an additional charge. Terms and conditions apply.